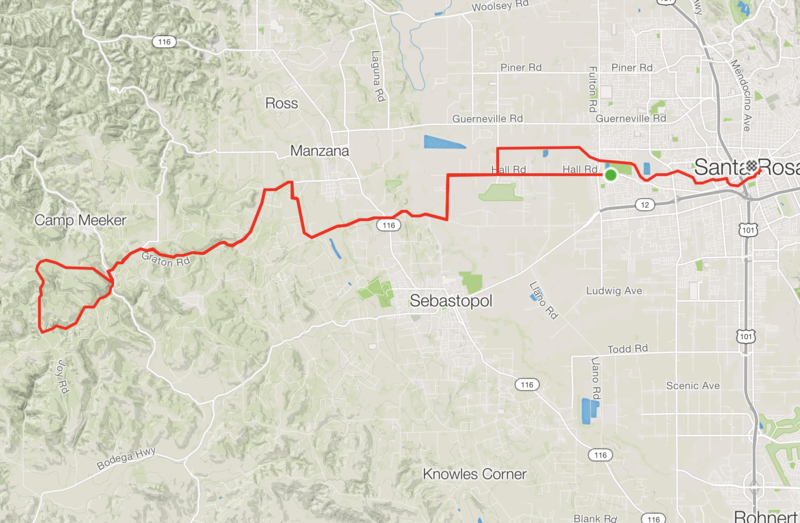 For those of you looking for a bit more challenge than what the basic Piccolo route offers, we humbly suggest taking on this additional 5 mile/600′ climb. This is a great way to kill some time if you’ve arrived in Occidental before the 9:30 AM turnaround time. Simply continue further into town, turn right on Occidental Road, then follow the course signs to Coleman, Joy, and Bittner Roads before returning back to Occidental.